sooooo, the other day i was on the today show. * and i tell you what! we were at washington square park reinventing that one scene in funny face,* you know the one, when the nbc people stopped me to ask me, are you a mom? and i was like, yes* and then they were like, weelllll, do you have an opinion on michelle duggar having a 20th baby? and i was like, do you people not know me, i have opinions about EVERYTHING. the minute it ended, my phone blew up. texts* and tweets* like crazy and emails* and "was that you on the today show?" and "hey i saw you on the today show!" rumor soon spread of this natalie person with the golden opinions and how rad and smart and good-looking in stripes she is. the paparazzi swarmed outside my apartment as i left for the post office to reclaim two lost packages. i was all, no photos please! except for from my flattering angle--here, let me pose for you! i signed about twenty autographs between here and broadway alone! mysteriously, when i got to the post office there were no packages for me? they were like, you already picked these up, and i was all, i did? and they said, see? and showed me the thing, and then i was like, but then why did i get a second notice? and then they shrugged at me and we all scratched our heads. * generally that was a pretty entertaining aside so i'm leaving it in here okay? later, the obamas called. i don't mean to brag, but when the economy straightens out you can thank me. 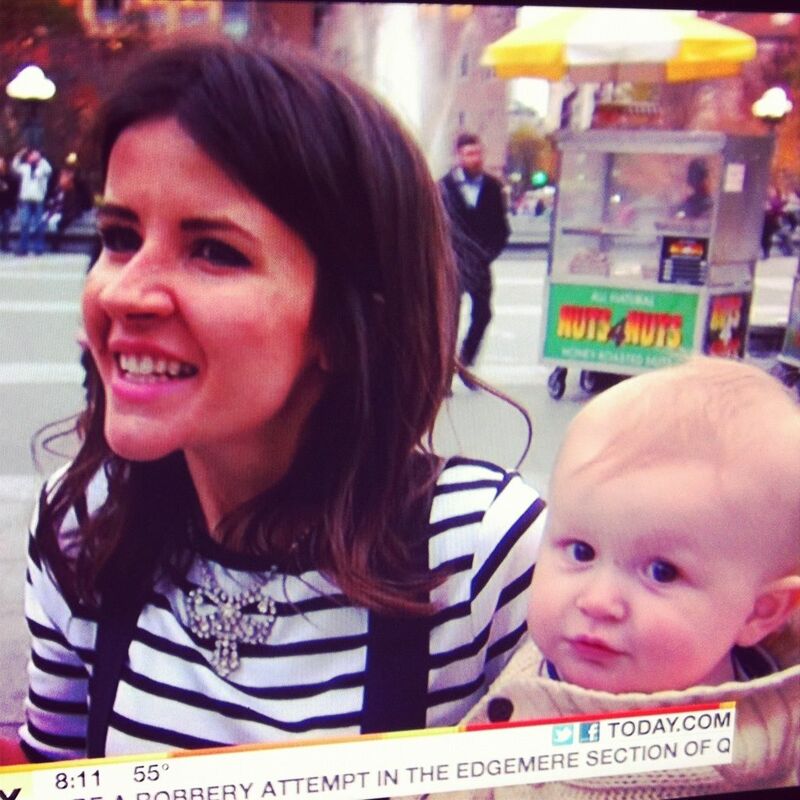 you're wearing my necklace on the today show! buusstedddd! but i swear you gave that to me straight up, alex! * whatever. sentences preceding an asterisk are actually true. the rest are mostly not. right, but like i said i was there to reenact that scene from funny face. i really meant that. also, where they heck did you find all those strapping young men in white shirts? i love that you were holding a balloon in the interview. classic. whaaat? that's awesome! i can't believe i missed that! the one morning i sleep in! also, you are totally going to have to go into more detail about this funny face shoot, i'm dying to know what it's all about! so....did you know and plan on being on The Today Show or did the stars align, putting you and your little bambino in the right place at the right time? Amazing both ways! I want to see more photos of you a la Funny Face! And I love the Duggars...I think they are a beautiful example of marital and familial love! Oh you are so funny! Can you please make sure you have a post ready for me about 7 am PST every morning! I love it with my morning coffee while the baby is still asleep:) It's my morning newspaper! Yep, agreed, I would have a million babies, but can't afford it! I love babies and chilren...Ah Michelle Duggar is a lucky woman i tell you! It's the Natalie Music Video! This whole post is hilarious. I hate when I get busted for wearing my sister's stuff. Where is your dress from? I must have it. Super cute! I love how attentive and adorable Huck was in the interview. :-) You guys make a great team. You're so awesome, I've finally got the courage up to let you know that I have been following your blog religiously for about two years! I'm talking daily. Its like Facebook, email, NAT THE FAT RAT. RRROUUTTINEE! But anyhoo just wanted to let you know that you have gone global, coz I'm in sunny Perth, Australia. And your family seems so cute and fun and you're so so so funny and just generally, well done at life! Holy crap! I'm so confused. What is Funny Face? (You probably can't believe anyone would ask you that). I'll google it. And who took the picture of you from behind when you were talking to the today show? Ok, so that's great that you were on the Today Show and all, but WHY were you recreating scenes from Funny Face? Can I please also recreate scenes from funny face? Why was this happening? I love it! I loved Funny Face! Audrey Hepburn is absolutely stunning all the time. Isn't it weird that she was supposed to be the not-so-conventionally beautiful one? 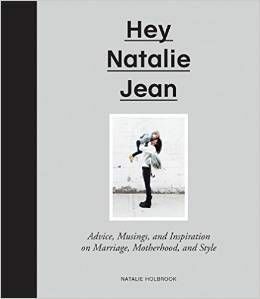 You just might be the coolest mom in all of blogdom. you know, part of me did wonder why you were holding balloons. but then i looked to the side and noticed huck's intense camera-eye contact and thought, "if that were my baby, i'd probably be holding balloons, too". I'm going to have to second SarahAnn. Love the fantastic witty commentary and story telling. Congratulations on your Today Show success! i saw it and wanted to give you a high five...then i researched the duggars to also get an opinion on it. i'm still undecided, lol. sarah anne, i love you for that, i really truly do ;). And following Gabby's comment, I wanna let you know that you're also global on the other side of the world, here in the UK :) I'm only here to study for a term, but at least until early December you've got a reader in Oxford! I would like to be knowing more about this Funny Face photo shoot please!!! k wait, what was the reenactment of funny face for?!?! that's one of my favourite movies! was it for a magazine or something?? convinced kelly ripa's the perfect woman; you two would be an unstoppable morning show duo. Wow, you're getting famouser by the minute! And I agree. While the thought of carrying and birthing twenty children just seems like madness to me (on a personal level), more power to the Duggars if they're up for it. The fact that they do it debt-free (when most parents wouldn't be able to say the same) is very commendable. Whoa. You're totally famous! This looks like the Today Show gave you all of those balloons and men in the background. i love how the edited you. and loved your long response more. way to go natthefatrat! you are adorable! can't wait to hear more about the photo shoot! and i agree w/ your duggar opinion there - children ARE a blessing, and if you can afford that many monetarily & emotionally - PTL! So cool! I think the Duggars are awesome. They are doing good work in rearing those kids. Whoa. This post was a big bite to chew. Funny Face reenactments. Opinions on the Today show. Whew. I feel tired FOR you. And jealous. Love the dress! You are gorgeous!!! Sorry, I can't get on board with the Duggar love. I don't hate them, certainly, but IMO they are doing those children a disservice in so many ways. I won't get into it unless someone engages, though, because it would be a pretty long comment! Cute pic of the kiddo, though, and I'm totally jealous that you were on the Today Show. Ha! Nat,you are kind of the best. Can I ask you please, where did you get those pants... skirt? what are they called?? They are ADORABLE!!! thanks rae! it's forever 21, and it's a dress! I too love the Duggars. It's fine to me. They take wonderful care of their kids, are teaching them pretty good values and can care for them financially. Way to go on 20! I hope Michelle has an easy and safe pregnancy. Your photos are so cute Natalie. I love the jumper. and then you're in a photoshoot with a bunch of boys? but what's THAT all about?! I don't know you and found you through Mindy Gledhill's page, but I think that's awesome that you got on the Today Show, AND that you said something positive about the Duggars and their situation. Instead of dogging on them and being negative like most of the rest of the world. I like people that don't like being like the rest of the world. :-) BTW... great pics on your blog! You're absolutely hilarious. This is the funniest post I've read in a very long time. Love the blog! !